The only bluegrass banjo method you will ever need! This program sets the standard for DVD bluegrass banjo instruction. 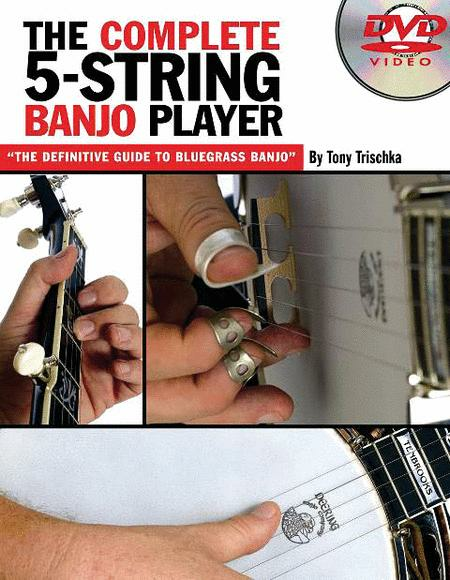 A renowned recording artist and banjo teacher, Tony Trischka covers everything from holding the banjo correctly to melodic banjo style and the standard bluegrass repertoire. This definitive guide to learning authentic bluegrass banjo technique includes music examples, techniques, and songs. Over one hour of detailed banjo instruction plus extra live footage! The DVD includes bonus live concert footage of Tony Trischka's ?The History of the Banjo? show.